In episode 13 of the Answers From Leadership podcast, our guest is Sean Ackerman. Sean is a husband, father, business professional, podcaster, writer, and entrepreneur. He has over 25 years practicing business management in small privately owned companies to larger organizations. And now he wants to help you lead yourself to success. What else do you want us to know about you Sean? Overcoming adversity is what I started You Leading You from. My family and I had a period of homelessness. After this trying period, I took the bull by the horns only to crash. From this crash, I realized he wasn’t doing much. Sure, I was busy but I wasn’t leaving a legacy. That had to change. How did you get into leadership and become the kind of leader you are today? I was a punk kid growing up. Had long hair, listened to heavy metal. Just not the kind of person you expected me to be today. To get ahead, I begin doing the best job he could. This allowed me to move up the ladder. Part of my work and leadership experience was at Wal-Mart. There, I helped open and improve stores up and down the coast. How does your day job and night time activity as a leadership podcaster intermesh? My perspective changed as I laid in that hospital bed. I made it very clear that my podcast of You Leading You was going to become a priority. One of the great things was that I was able to have one of my editors help with a book within the organization. What does adversity look like to a leader? Have you seen the movie Wreck-It Ralph? Imagine I’m in one of the Candylands and what I see is a huge mountain made of sweets. And that’s what I envision adversity as. It looks like it’s going to be a bear to climb. But there’s something about climbing it and overcoming it that is gratifying. 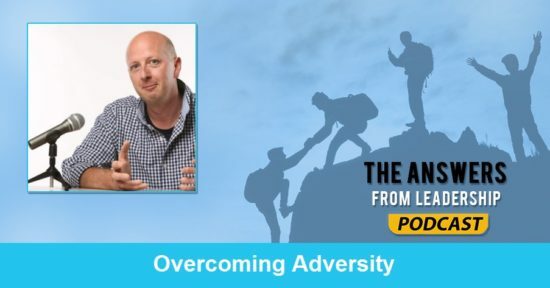 Can you give us a tip or two on overcoming adversity? The first thing you have to do is be realistic about the adversity in front of you. Too many people try to sugar coat or be politically correct about the issue. You’ve got to be realistic and direct about the issue. You had a run-in with stress. Can you tell us what you learned from that situation? We had a hurricane. I put on the happy face. I buried myself in my work. I tried to be the ideal person. Then I had a lot of cracks in the veneer. What ended up happening was that I reached a point where I couldn’t give anymore. I exhausted the battery. I hadn’t been doing anything for myself. There was nothing coming back in. What does recharging your battery look like? It’s funny. I decided to do this You Leading You thing while I was still laying in the hospital. After I get out of the hospital, I did change the role I was in within the organization. Then all of a sudden with You Leading You, I’m working another 30-hours a week. But I don’t mind doing it. That’s what recharging looks like. Do you have one book you’d recommend to listeners? 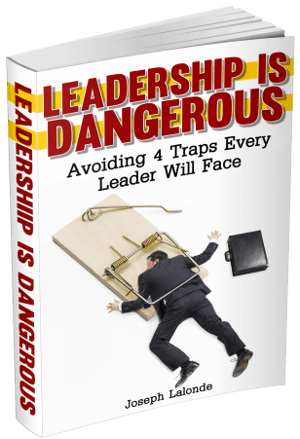 What else do you want to share with up and coming leaders? Don’t stop trying to do something new. Always challenge yourself.